A holding deposit of €700 will be stopped on your credit card until the safe return of the hire bike at which time a full refund will be made. If a bicycle is damaged the repair cost will be deducted from your security deposit at cost. 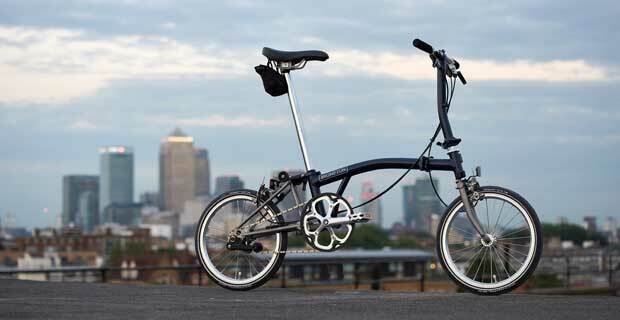 If a bicycle is lost or deemed stolen whilst under your hire care the security deposit (€700) will be used to replace the Brompton. The bicycle is your responsibility whilst on hire. 1. The customer undertakes to use the service provided by the company as would any reasonable, prudent, responsible and informed individual and in accordance with these conditions of use. 2. The customer is responsible for the bicycle hired and must make every effort to avoid damage to the bicycle or its destruction or disappearance. 3. The customer undertakes to hire and return the bicycle within the authorised Hire Period. The customer accepts in advance that any failure to abide by this obligation will result in the forfeiture of the deposit. 4. If any use of a bicycle in contravention of the provisions of paragraph 5 above is observed, the customer undertakes to return the bicycle immediately at the request of the company’s representatives. 5. The customer undertakes to inform the company as swiftly as possible of the loss, theft, any accident or any other problem in relation to the use of a bicycle. In any event, the bicycle shall remain under the responsibility of the customer in accordance with the terms of paragraph [ ] and [ ] herein. 6. The bicycle remains at all times the property of the company. The customer is expressly forbidden to allow any third party to use the bicycle in any way whatsoever, whether for free or against consideration. 7. The service provided by the company is also accessible to children between the ages of 14 to 18 once the bicycles are hired by their legal guardian under the liability of this clause and in accordance with paragraph [ ] below. (f) generally, any abnormal use of a bicycle. 9. Any goods carried by customers, either on their person or on the bicycle is at the risk of the customer. 10.Damage to or the soiling of a customers clothing while using a bicycle is at the risk of the customer. 11. The customer is fully and solely liable for any damage caused by the use made of a bicycle during the Hire Period and including when the Hire Period is exceeded in the event of a late return by the customer. 12. The parents or legal guardians of any minor children will be held liable for any damage caused directly or indirectly by the minor as a result of using the service. 13. A bicycle that has not been returned after 24 hours have expired since the ending of a Hire Period will be considered as a case of disappearance until the bicycle is found or returned. 14. In the event of the disappearance of a bicycle for which a customer is liable, the customer is obliged to inform the company of this disappearance and to register the theft with the Gardai. The customer shall remain fully and solely responsible for the bicycle until the company is supplied with a copy of the Garda Report. 15. In the event of an accident and/or incident involving the bicycle, the customer is under obligation to inform the company of the facts as soon as is reasonably practicable. The customer remains liable for the bicycle until such time as it is locked to a stand or handed over in person to a representative of the company. 16. The customer declares they capable of using a bicycle and physically fit to do so. Helmets are provided and must be used. 17. Since the customer is liable for the bicycle, prior to using the bicycle the customer must carry out a basic check on the main visible working parts, in particular (but not limited to: Brakes, Handle Bars, Gears, Frame, Seat Adjustment, Wheels, and Tyres. 18. You are not insured by the company to use the bicycle and you do so entirely at your own risk. It is advised that you take out your own public liability insurance if you do not have such a policy already in place. 19. These Conditions of Use are subject to Irish Law. Any dispute arising from the performance and consequences thereof shall be brought before the courts of Ireland to which the Parties expressly attribute jurisdiction, including in the event of Summary Judgements, the introduction of Third Parties or numerous Defendants.